Premier Single-Use Laundry Sack. The soluble seal strip dissolves in hot or cold water and releases the contents for washing. A hygienic way of isolating and transporting soiled linen. At the end of the wash cycle, the polythene bag is removed and disposed of. 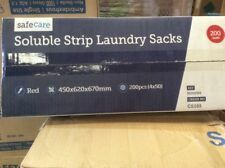 400 x Soluble Laundry Bags - Red -2 Boxes Of 200 Bags. EASY-ON Laundry Speed Starch Crisp Linen Scent 20 oz Aerosol Can 00215EA - Sold as 1 Each. Speed starch will make your ironing experience easier and faster. After use, your fabrics will have a crisp professional look free of wrinkles. 200 x Soluble Laundry Bags - Red -. Capacity: 60L. Laundry Basket. This stylish laundry basket is a space saving solution. Colour: BLACK. Northern Ireland, Isle of Man, TR21-25, BT, IM, TR21-25. A perfect mix between attractiveness of natural fibers looks and durability of plastic. 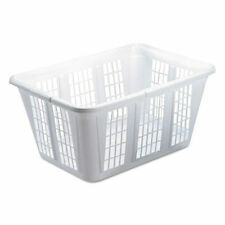 10 x WKD Pop-Up Laundry Basket. Downy Liquid Fabric Softener April Fresh 64oz Bottle 89672 - Sold as 1 Each. Softens 39 loads. 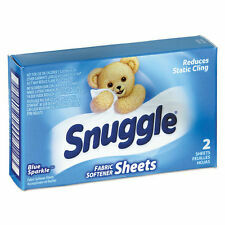 Application: Fabric Softener; Applicable Material: Fabric; Scent: April Fresh; Physical Form: Liquid. Excluded are Alaska, Hawaii, Puerto Rico, APO/FPO, PO Boxes and International locations. It cleans, lifts stains, and brightens clothes in just one wash! Includes: 12 x Ariel Original 3in1 Pods. 12 x Ariel Original 3in1 Pods. Provides a complete cleaning even at low 30°C. We are nice people and we always try to solve any issues in the most friendly manner possible. Laundry Liquid - Search™. Incredible washing ability at all temperatures, in all water conditions. Also suitable for washing by hand. For all types of automatic, non-automatic and industrial machines. Our formulas are what make us special. We do things differently here at Charlies Soap because in our case, different (and simple) is better. 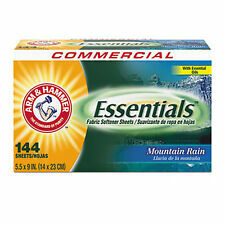 If you use the best and purest ingredients, you dont need pardon the pun a laundry list of ingredients. The Hamper Option Details. Heavy Duty Laundry. Trio Strap & Buckle Closure - Two Carry Handles -.